China has become the world’s largest investor in renewable energy and one of the most attractive energy markets, but the country is not satisfied with these achievements. The Chinese government has unveiled plans to continue bolstering the clean energy sector through a variety of initiatives. The country’s aggressive support of clean power has had a sizeable impact on the rest of the world. Over the past few years, China’s involvement in the manufacture of photovoltaic products has lead to a dramatic fall in the cost of solar energy. As the clean energy sector continues to grow, China is beginning to see that solar and wind power no longer rely on state-backed incentives. 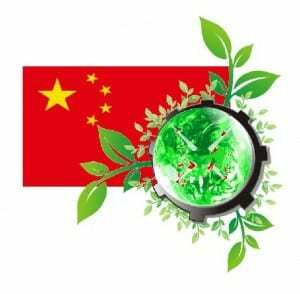 These forms of clean energy have become very popular throughout China, especially among private investors, and may no longer require the financial aid of the government. As such, China is looking to reduce the incentives that it has provided to these forms of clean energy over the next five years. Subsidies provided to the solar energy sector will be reduced by 50% by 2020. Wind energy subsidies will also be reduced, but by a less dramatic margin. The government believes that reducing the financial aid it provides to these forms of energy will provide energy companies with the encouragement they need to make more efficient technologies. Efficiency has been a problem for photovoltaic and wind technologies developed in China. Over the past few years, Chinese companies have been harshly criticized for their inefficient products. While these products are plentiful, they have not lived up to the efficiency standards that many other countries have come to expect. Chinese manufacturers relying on government subsidies may not have the incentive to develop highly efficient products because they will continue to be paid regardless of their production.